Seeing the Monkees in 2016 couldn't possibly result in a completely fulfilling experience. Despite the fact that two members of the original quartet are conspicuously absent (co-vocalist Davy Jones passed away in 2012 and guitarist Michael Nesmith opted to sit out), the fact that (original) drummer Micky Dolenz and (original) bassist Peter Tork are both in their 70s indicates that their 50th Anniversary Tour is simply designed to fulfill the audiences' nostalgic tendencies. Importantly though, that hasn't stopped Dolenz and Tork from trying to give their fans something fresh — the duo are also supporting their first LP in 20 years, Good Times!. Supported by a simple three-piece band that included longtime guitarist Wayne Avers and drummer/keyboardist Rich Dart, along with Nashville session bassist John Billings, Dolenz and Tork walked out to "(Theme to) The Monkees," greeted by hundreds of teenage girls (who were camped out front to see stage headliner Sam Hunt) and thousands of Monkees fans who were relegated to the back of the crowd. Backed by a sizable LCD screen that projected images of old Monkees episodes, along with vintage paraphernalia, live footage and new animation, the duo's stage set celebrated the group's past and present, covering most of the group's hits, including "Last Train to Clarksville," "(I'm Not Your) Steppin' Stone" and "Pleasant Valley Sunday." Hampered by a mid-set string of deep cuts ("Your Auntie Grizelda," "Porpoise Song (Theme From Head)") and new tracks ("She Makes Me Laugh," "You Bring the Summer"), the crowd became slightly disinterested, with their enthusiasm only revived by a rendition of "Daydream Believer" — which found Dolenz and Peter singing along with a backing track and video featuring Davy Jones on vocals — and "I'm a Believer," which saw the bored teenagers in the crowd perking up to sing along wildly (perhaps due to their familiarity with Smash Mouth's version from the Shrek soundtrack). 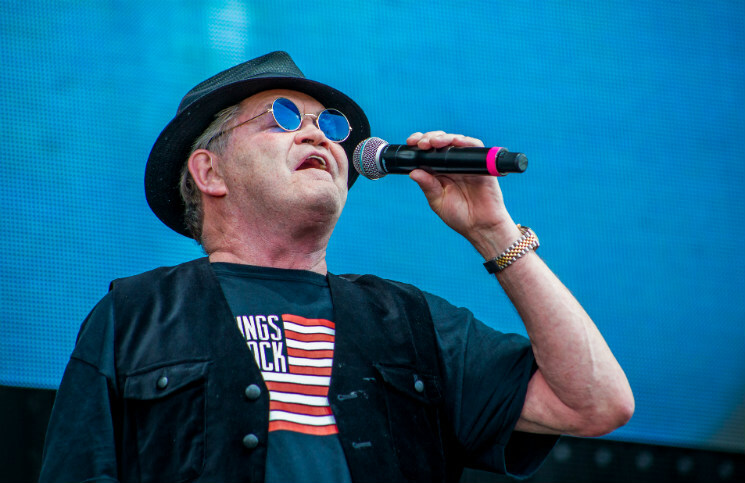 Holding hands while bowing to the crowd, Dolenz and Tork wrapped up a performance that both capitalized on nostalgia, and, unfortunately, highlighted their inevitable deficiencies, but was satisfying nonetheless.